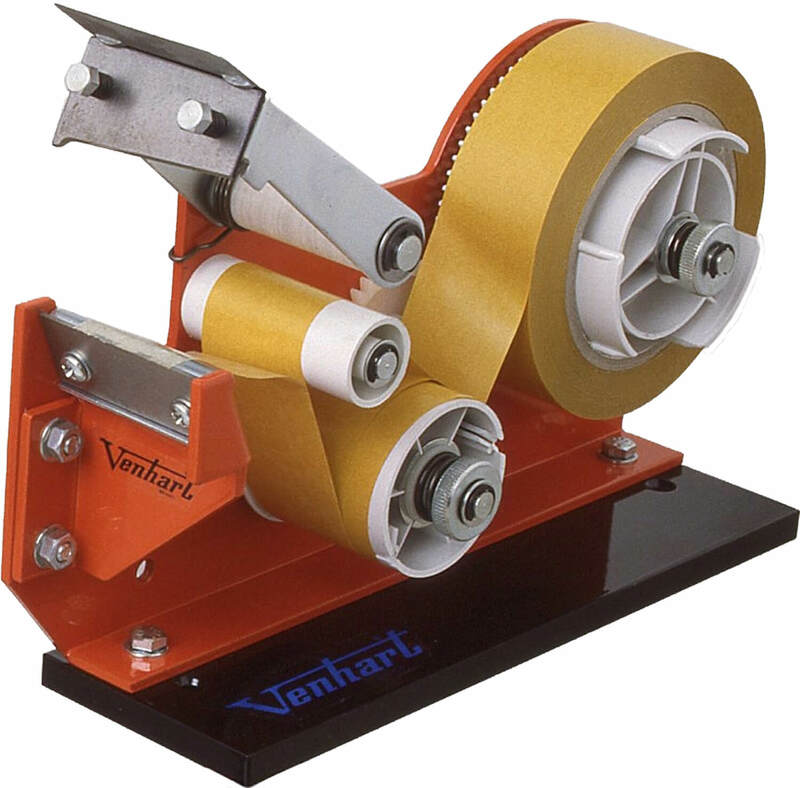 Metal mini double-sided tape dispenser with plastic spool, medium serrated blade and slotted base for bench mounting. Also available, VH4160 for 50mm wide tape. Takes tapes up to 25mm wide and 200mm O.D. on 76mm core. 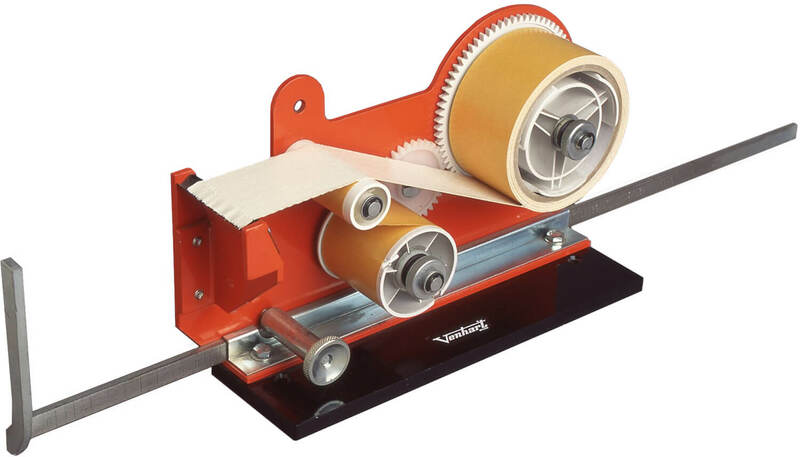 The VH2450 is an attractive, metal desktop model with fine blade and metal spool that adjusts easily for adhesive tapes up to 50mm wide and 200mm O.D. on 76mm core. Heavy duty 4mm thick metal double-sided tape dispenser with 9.5mm solid metal base, adjustable tension, plastic spool, plastic cogs and bench mount screw holes. Scissor action cutter blade features coil return spring for ease of use. Also available, the VH4170 with toothed blade cutter. Takes tapes up to 50mm wide and 160mm O.D. on 76mm core. 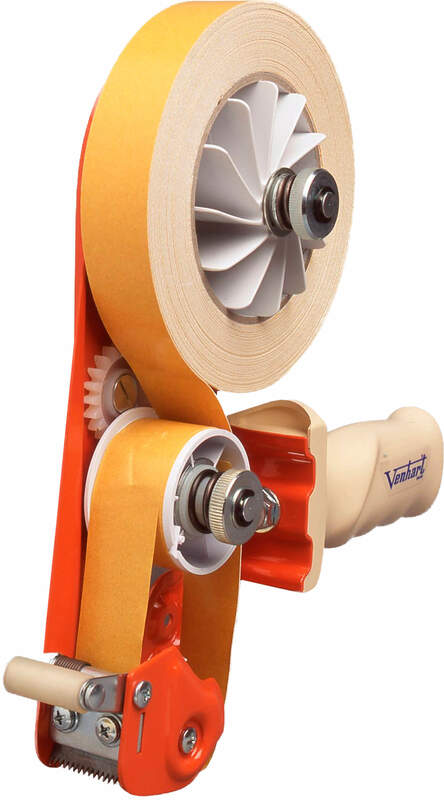 The VH4180M Double-sided Benchtop Tape Dispenser includes an adjustable measuring bar, similar to VH4180 (above) with 4mm thick metal casing, 9.5mm solid metal base, bench mount screw holes, adjustable tensioning, toothed blade, plastic cogs and spools. Economy model. 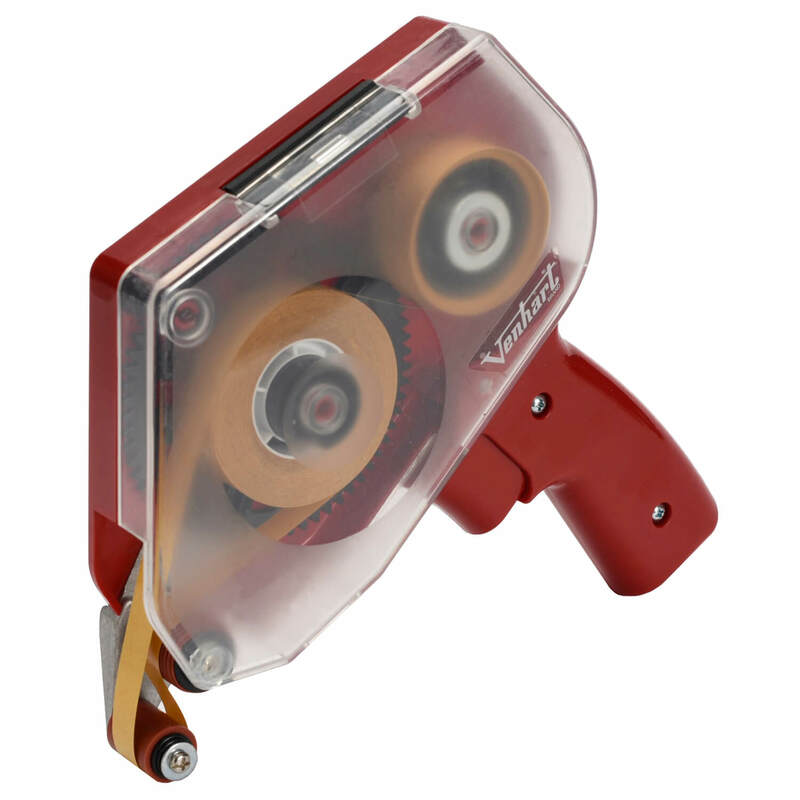 Our double-sided Pistol Grip Tape Dispenser, VH1125, features a metal frame with plastic spools, contoured hand grip and a fine serrated blade. 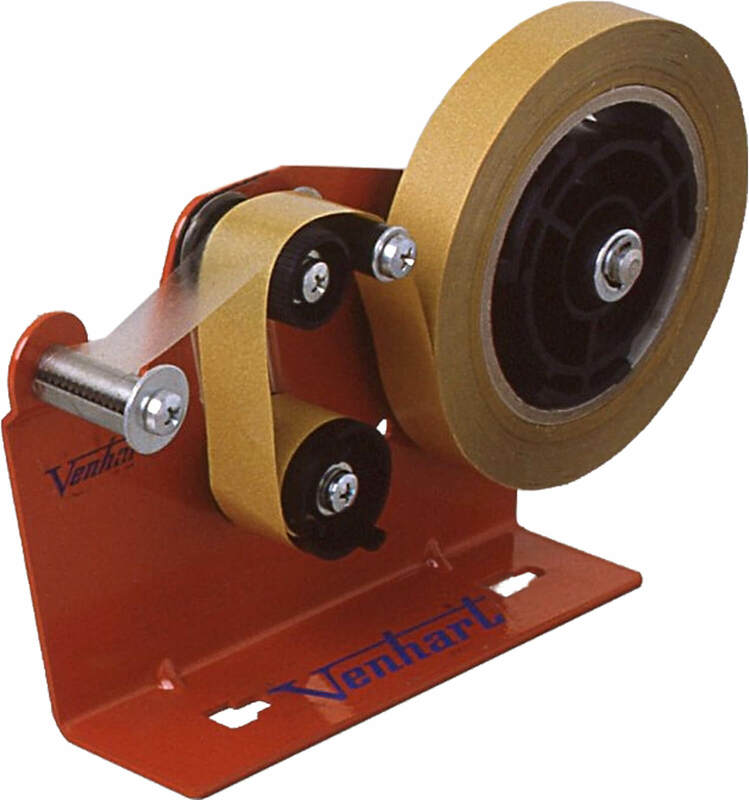 Also available, the VH1150 for 50mm wide tapes. Weight 495g. For tapes up to 25mm wide and 150mm O.D. on 76mm core. 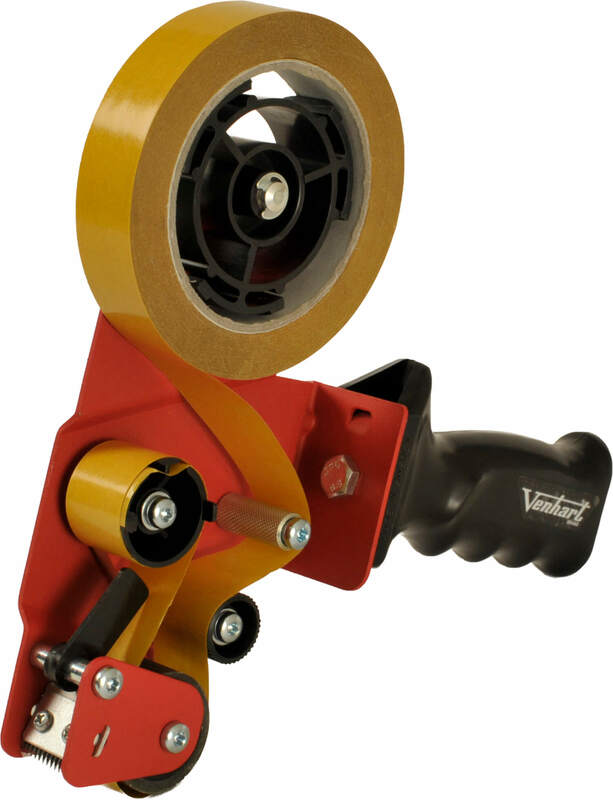 The VH1160 Heavy Duty Double-sided Pistol Grip Tape Dispenser comes with a metal body, medium blade, adjustable tension, spring loaded smoothing flap, plastic spools, cogs and contoured hand grip. Also available, the VH1162 for 50mm wide tape. Weight 950g. Takes tapes up to 25mm wide and 140mm O.D. on 76mm core. 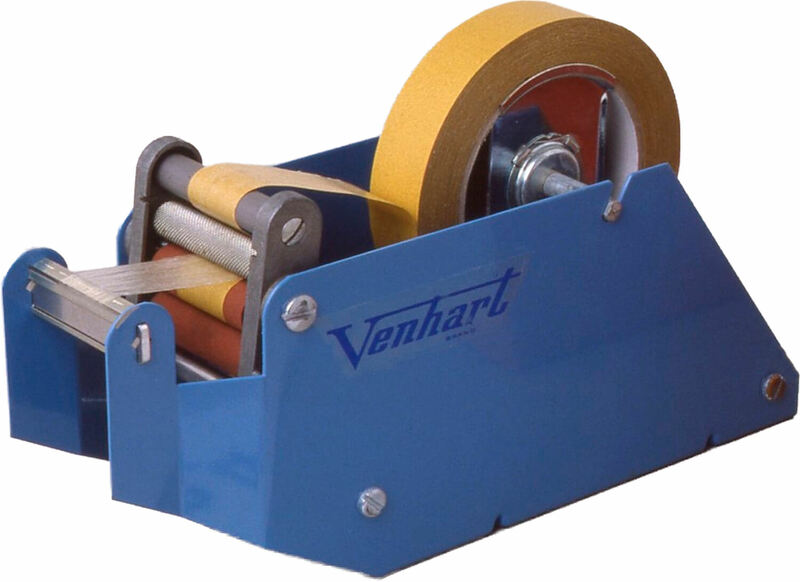 The VH1175 Heavy Duty Double-Sided Pistol Grip Tape Dispenser is similar to VH1160 (above) but takes tapes up to 50mm wide and 140mm O.D. on 76mm core. This unit is metal with tempered medium blade, adjustable tension, spring loaded smoothing flap, plastic spools, cogs and contoured hand grip. Takes tapes up to 50mm wide and 140mm O.D. on 76mm core. 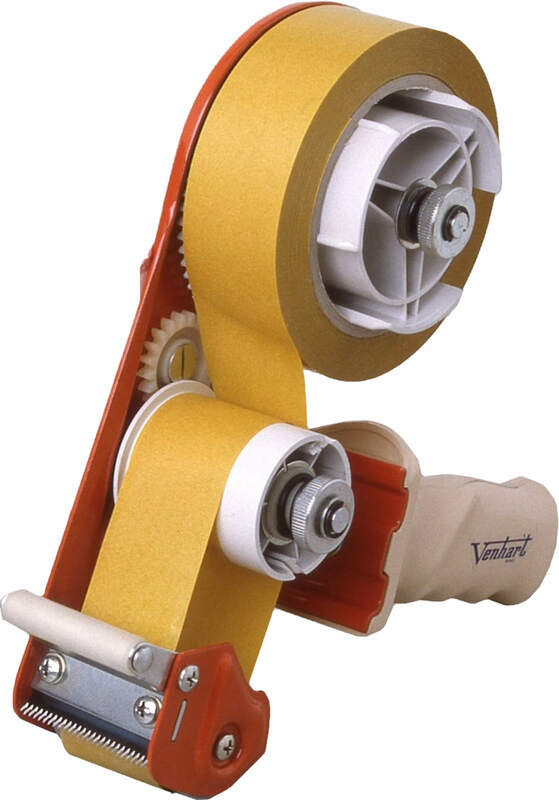 The VH119A Transfer Tape Dispenser applies adhesive only, with no tape medium, for mounting photographs and artwork, among other uses. Releasing the trigger causes precise cut-off. Takes adhesive transfer tape up to 19mm wide and 80mm O.D. on 25mm core.